The U.S Business Visa is the type of visa that is required in order for you to enter the United States to attend conferences, seminars, business trips and meetings. This is a visitor visa and not a work visa, this means that you are not allowed to work and earn a salary or attend school during your visit to the States. Are you planning to attend a conference or a business meeting in the U.S, or you are planning on passing through the States on your way to another country, it is very important that take out a few months to apply for your B1 visitor visa. How Can You Apply for a U.S Business (B1) Visa? 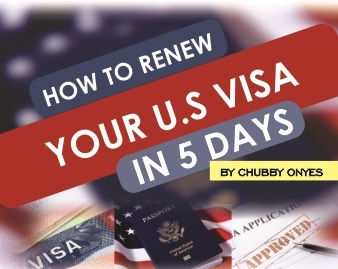 At Travel Visa we make it easy for you to apply for your B1 visa online and prepare for your visa interview at the U.S. embassy in Nigeria. If you need a B1 visa to the U.S., we will help you fill out and complete your DS-160 application form and provide the necessary documentation you need to attend your interview. We can also review your visa application and advise you on what is missing or unclear. Without our professional advice, the chances of errors are increased. We will also help you to schedule an interview at the U.S. embassy or consulate in Nigeria and guide you through the interview process. Our consultants are available to answer your questions at every stage. We will also assist with any appeals process that may be required if your initial application is unsuccessful. Travel Visa has a 98% success rate, so you can rely on us to get you through! 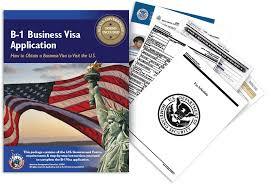 What Documentation Is Required for a U.S B1 Business Visa? Proof that you are going to visit the U.S. on a temporal basis. Proof that you reside in Nigeria and do not intend to remain in the U.S. Enough proof to show you are able to support yourself financially while visiting the U.S. Evidence to show that you fulfill all U.S. entry requirements for health, criminal, and national security checks. A valid photograph that meets all visa photo requirements. How Travel Visa Can Help You? The process of applying for a B1 Business Visitor Visa can be complex, so it’s good to have the visa application experts from Travel Visa on your side. We work with you to present the strongest case for your visit being temporary, so that you have the best chance of success. We are happy to answer any questions or concerns that you may have.